Beginning next month, Target will be rolling out a unique new shopping cart in most of its store locations across the country. 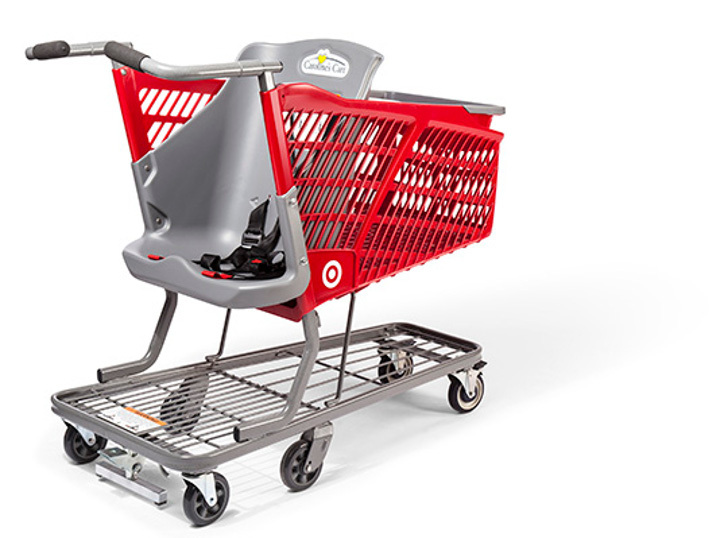 Caroline’s Cart, specially designed with a built-in seat for older children with disabilities, will join the recognizable red and gray carts wheeling down the retailer’s aisles. The objective is to make shopping more manageable for parents and caregivers who have children who cannot walk, and to make shopping excursions more comfortable for children. Instead of a parent having to maneuver a wheelchair and a shopping cart simultaneously, disabled children can be placed in the cart to streamline the experience. Caroline’s Cart is a shopping cart especially designed for customers accompanying a disabled child or adult. 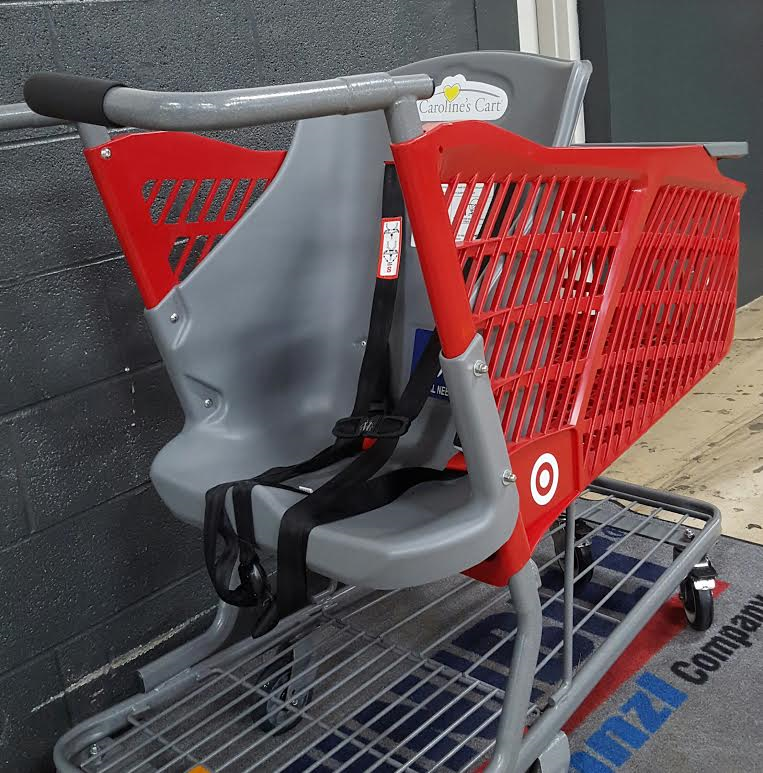 Instead of the traditional fold-down child seat built into the front of typical shopping carts, this unique cart has a larger seat to accommodate older children who may be unable to walk due to a wide variety of conditions. The cart was conceptualized by a mom, Drew Ann Long, who had an idea for the cart’s invention after having difficulty shopping with her disabled daughter and her two year-old son. The cart is named after Long’s daughter, Caroline. Target has been testing Caroline’s Cart for the past year, and has announced it will add at least one of the accommodating shopping carts to each of its larger stores beginning in March 2016. To date, Target is the largest national retailer to bring Caroline’s Cart into its aisles. It was one of the store’s own associates, an employee with a special needs child of their own, who first brought the idea to management. Target will add at least one Caroline's Cart to each store, specially designed for special needs children.